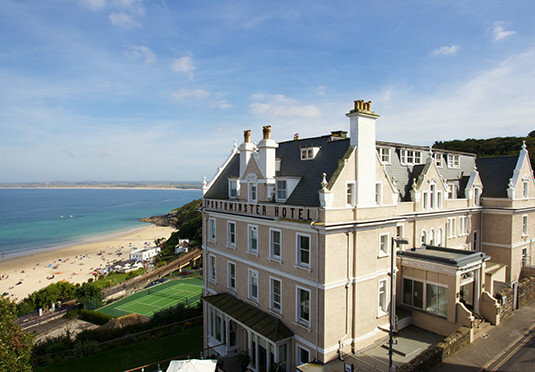 As Cornish as a cream tea, the St Ives Harbour Hotel & Spa has charm, character and class in abundance. 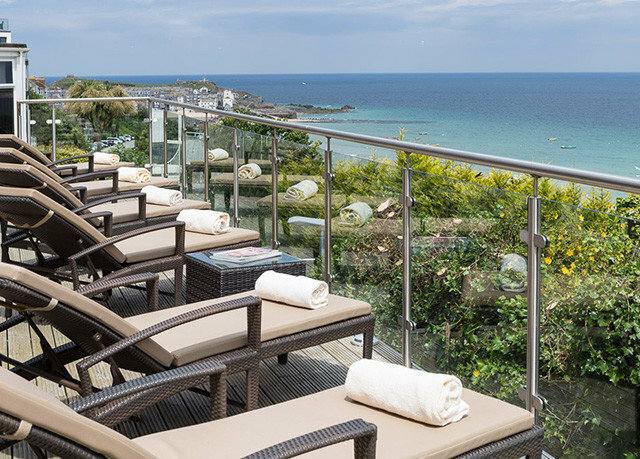 Elegantly perched above the golden sands of Porthminster beach, with stunning views across the water, locations don’t come much better than this. Sip tea on the terrace as you watch the waves lap against the picturesque Godrevy Lighthouse. 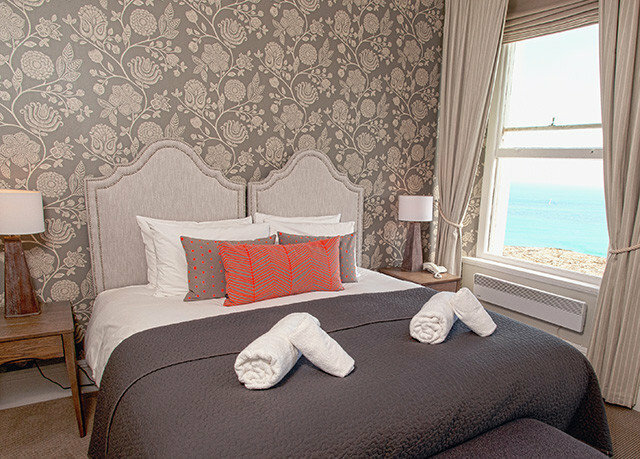 Take it easy in the high-ceilinged bay-view lounge, or take the short stroll into St Ives to explore its maze of cobbled streets which are dotted with independent shops and cafés. 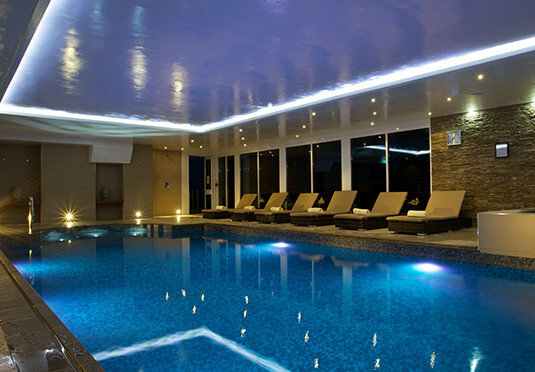 The hotel has its own brand new spa, complete with indoor pool, where you can indulge in luxurious ESPA treatments and products. 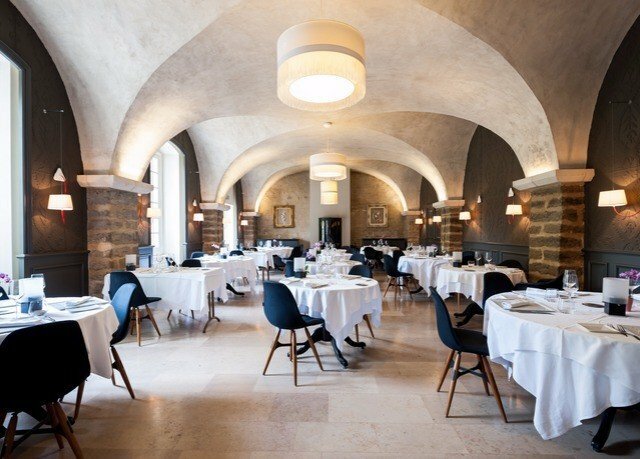 The stunning Terrace Bar & Restaurant is a must for food and drink lovers. It serves up a feast of locally sourced, seasonal dishes – including fresh-off-the-boat fish – to be enjoyed against a backdrop of the ancient harbour. 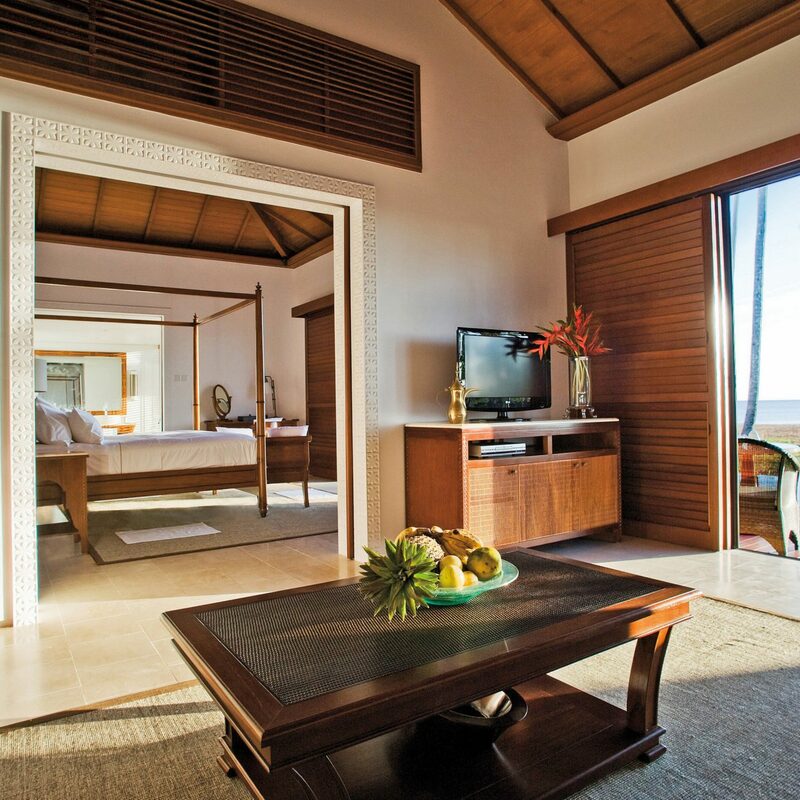 Rooms are luxurious and effortlessly elegant. Prepare for an exquisite night’s sleep courtesy of quality Egyptian cotton linens and Oxford pillows. The Al Fresco Terrace overlooks the bay and serves a menu of fresh, seasonal and simple Cornish classics. We’re big fans of the excellent wine and cocktail list. 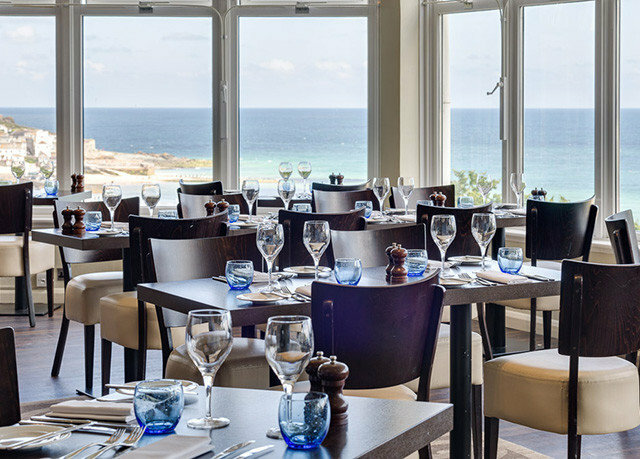 The Harbour Restaurant is open for breakfast, lunch and dinner and offers panoramic views of the coast that are every bit as delicious as the fresh fish, seafood and seasonal cuisine it serves. Afternoon tea can be taken in the glamorous bay-view lounge – an absolute treat. robes, slippers and rehydrating herbal teas are all available too. St Ives is just so pretty. 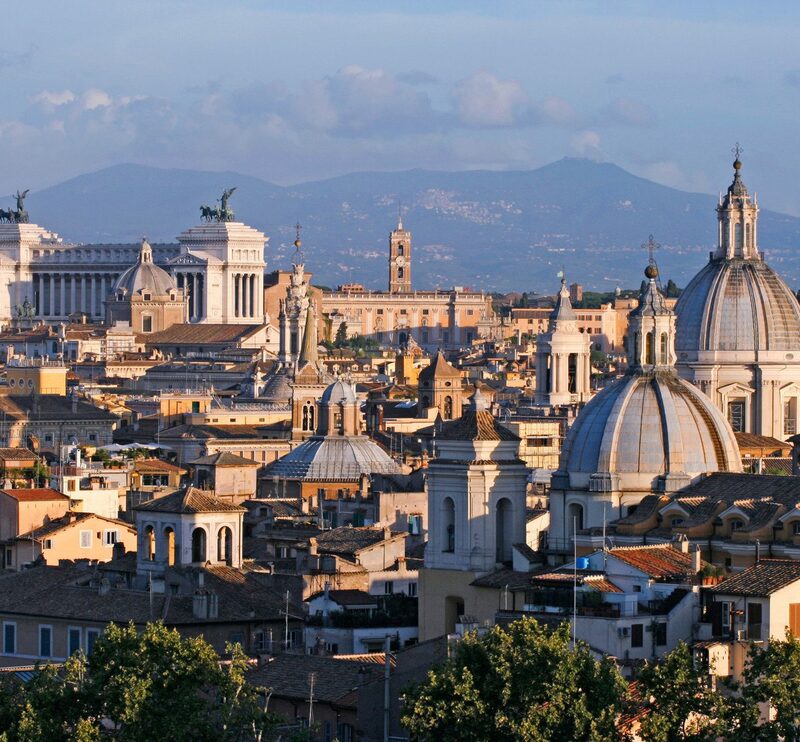 Follow the criss-crossing cobbled streets – affectionately known as the ‘downalong’ – to the town itself, where you’ll find a fabulous mix of artists’ studios, boutique shops and independent cafes. 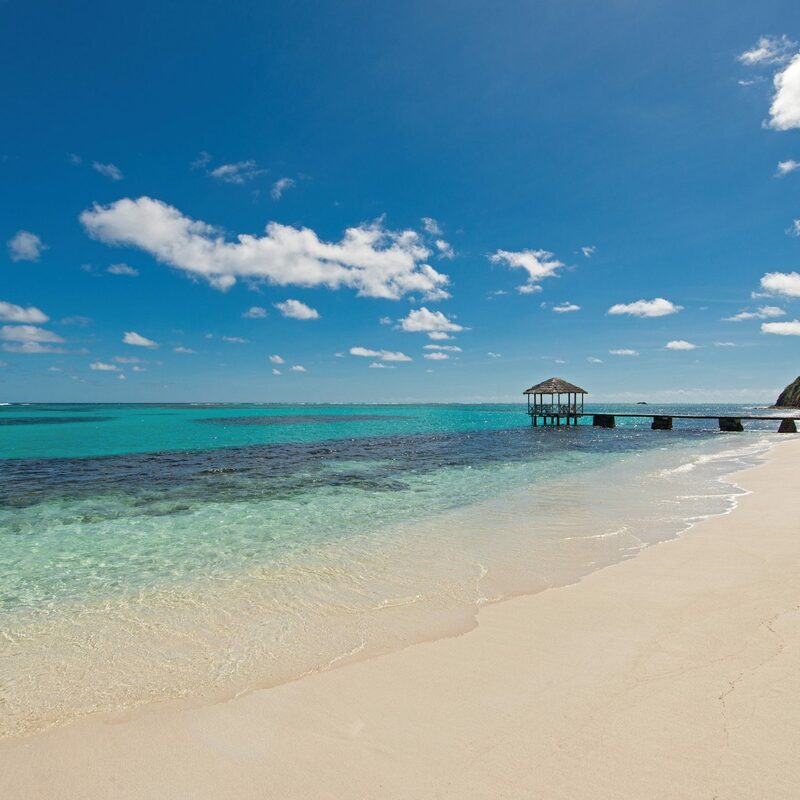 In terms of natural beauty the location is hard to beat. 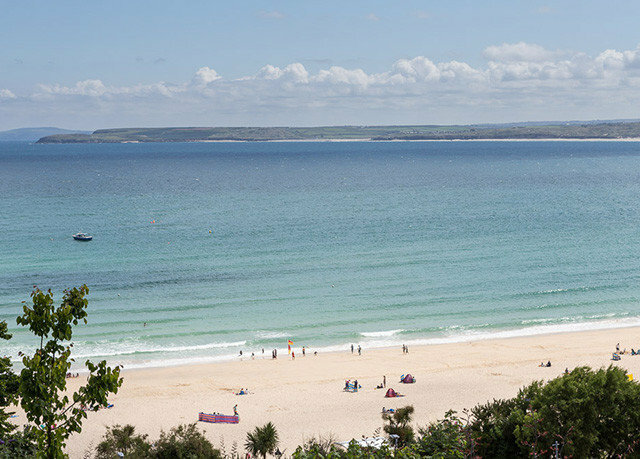 The bay is quintessentially Cornish, with turquoise waters and sandy shores flanked by imposing cliffs; simply breathtaking.For the active types, St Ives has one of the best surfing beaches in the UK and at this time of year the surf schools have good rates for first timers, children and adults. A smart hotel with fabulous sea views but if this is the best St Ives can offer then I would rather rent a cottage. Parking is an issue because you have to dump the car on double yellow lines, empty it and give the keys to a valet who parks it for you, though if the hotel is full I suspect there aren't enough places to go round, so check first. Staff are friendly and - the reason we chose this hotel - it is dog-friendly. Breakfasts are OK, dinner likewise but the menu was limited and one of the main courses was off. No fish. Sadly, this is one of those hotels where the owners obviously never try sleeping in their rooms. Otherwise they would notice the TV doesn't work, the bathroom door won't shut, there is no mirror suitable for putting on make-up (though there is distorting, concave objet d'art), an outside light casts a disturbing glare through the night and you awake with back-ache because the bed is too hard. The place is a rabbit warren of stairs and corridors but it's nice enough. You just think it ought to be a bit better than it is. Everything about this hotel from arrival to check out was perfect I only stayed the one night but I encountered a lovely greeting at reception and was shown to my room less than ten minutes from walking through the door after making myself comfortable I headed to the bar for an afternoon dinner drink I was greeted by a very friendly bar maid and I asked about the gins and what would she recommend she offered me a couple of choices and I ended up trying both recommendations which were both gorgeous. After this I went back to my room and got ready for dinner. I headed to the restaurant to be greeted by the same young lady I ended up asking her name to which she told me it was Rosie and she showed me to my table and explained my choices of menus (I had pre paid dinner allowance). Dinner all round was lovely I ate off the a la carte/ all day menu I started with the tempura prawns and followed with the braised ox cheek both were fabulous and paired beautifully with two wine recommendations by Rosie. I didn’t have a dessert but did enjoy an after dinner coffee in the lounge. The next morning when I went for breakfast I was once again greeted by Rosie who again promptly showed me through my breakfast choices i decided to skip continental and go for the eggs benedict which was to die for so scrummy and couldn’t be beaten with the spectacular view! I was offered more tea, coffee and toast after my hot food and nothing seemed to much for the team. I headed out to my room to depart which was quick and easy and very friendly again. Nothing seemed too much for this hotel staff and the general manager should be very proud to have such a lovely and willing team I will definitely return. My husband & I have stayed here numerous times but this time something has changed. Yes the staff were friendly and attentive, refurb work done to a high standard and we fully enjoyed the spa facilities but left me questioning.....should a 4star hotel have dirty men’s toilets with beer glasses left in them and my husband having no means of drying his hands - basket empty, no top-up shampoo+shower-gel+conditioner in rooms when cleaner has been in, no decent mirror in room to dry my hair, empty decanter which presumably had gin in from previous guests, no breakfast menu like before-my husband & I use to order haddock & poached egg, not keen on the buffet style breakfast which involved a member of staff issuing you your food, mens showers in spa had no shower gel - empty bottles, no clothes spinner to dry swimwear, saw reception twice over our door not locking properly - twice handyman looked at our door and still didn’t lock - gave up in the end as we were going home, on checking out was asked to pay for our evening meal even though we were Dinner, Bed & Breakfast, was asked to pay for Prosecco in room even though we booked online deal Fizz Friday which offers free bottle of fizz in room, What’s happened to St.Ives Hotel & Spa? Can’t say we will be in a rush to return. I had a Virgin Experience voucher from work that needed to be used, so decided to use the 2 nights here. We decided to travel by train so the location of this hotel is convenient for the little station - it is up the top of the hill though so bear this in mind. From the outside, the building doesn't scream 'luxury' there are letters missing from the sign and it could do with a lick of paint, however once inside it's clean and welcoming - public areas are modern and spotless. The reception is more like an office which is an interesting idea, the young girl who jumped up from behind the desk was really friendly and helpful. We had a standard inland view booked and asked about a sea view, they gave us a family room for an additional £25 per night which was very reasonable and were quickly given a quick tour and explanation of the facilities. The family room had an additional little room with a bunk bed in, even though we were only staying 2 nights it was nice to have this additional space as the main room was quite small. In fact it wasn't that small, the space just wasn't utilised very well. There was a table and chairs against the window, and you could only just squeeze between this and the side of the bed - the dresser was also far too big for a room of this size, so again space between this and the bed was very limited. Everything was clean, comfortable and in good condition though. The bed was very comfortable and the room was totally silent overnight, best hotel sleep I've had for a long time and obviously the view is incredible. We had dinner included on first night and were told at check in this was actually a credit on the account which made sense, very disappointed that we could only order from a very limited set menu and to be honest - it was a pretty disappointing meal. The Fish pie was 95% potato. Very disappointing also that they charged 1.95 for the small bottle of still water that I could have just brought down from the room. They push you to book a table, it was pretty quiet on this Sunday evening so there was flexibility for us to change the time to slightly earlier. Breakfast was an interesting affair, it was very busy in the restaurant area, we waited about 15 minutes to be acknowledged and a hurried lady pointed us to an available table. We asked for coffee and brown toast (took about 20 minutes to arrive) another hurried waitress did at least apologise for how long it had taken, it was a Monday morning so they were clearly overwhelmed. We had to leave these as we were pretty much done by the time they arrived (I couldn't find any butter anywhere anyway). One big table in the middle with a bit of sorry looking fruit, some unspecified other liquids and the occasional pastry. There were a small number of hot items on another table, you had to be served these by a red faced old lady and it took forever as she kept wandering off so there was always a queue of people waiting, she appeared when someone was trying get something themselves and thought she was actually going to explode. Why not just let guests serve their own breakfast like other hotels? Bar was small but had a nice vibe and of course great views, the terrace must be a great place to be in the summer (it was late March and very windy when we visited). The spa is terrific - it's quite a long walk down the corridor and then a staircase. 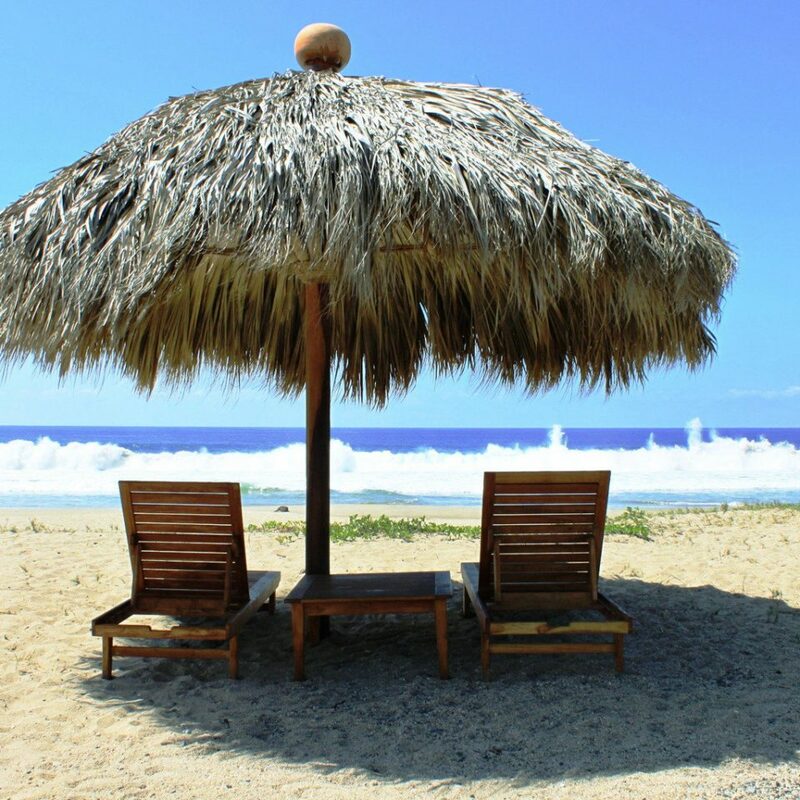 We didn't have any treatments - just used the pool, sauna and steam room. Everything in here definitely shouts luxury. We were in early evening and there were only 2 other people around so pretty much had the pool to myself. We only stayed 2 nights in St Ives, but would actually be willing to stay here again, will try a different room type and probably room only!! Had a wonderful stay here as a birthday treat for my partner. The girl working reception was friendly and welcoming, our car was parked for us, the rooms were clean and spacious as was the bathroom. 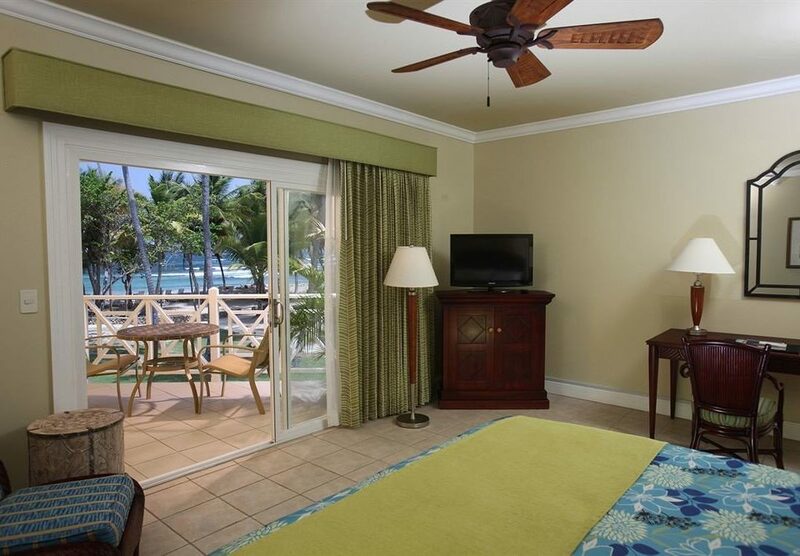 Not to mention the fabulous sea view which could be admired from our bed. There were some books in our room, all ocean themed in some way, which was a lovely touch and made an enjoyable read while unwinding after making use of the spa facilities (HarSPA). 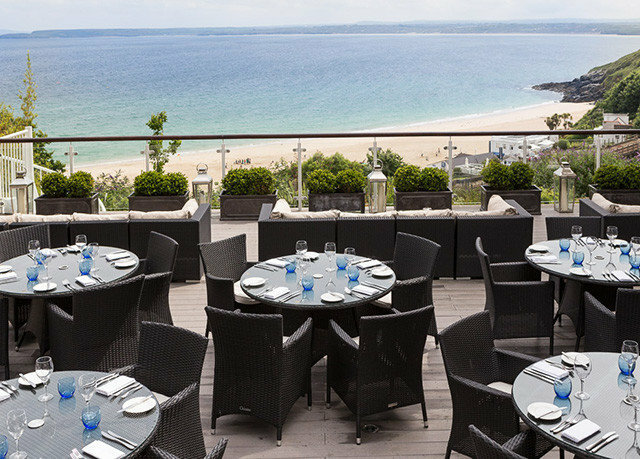 The hotel also has a beautiful terraced area outside of the bar which overlooks Porthminster beach, a great place to sit and enjoy a glass of wine or two. Truly wonderful. Thank you! !